After an incident-laden weekend of PWC GTS SprintX racing at the Grand Prix of Virginia presented by Audi Sport, Team Panoz Racing leaves the historic raceway ready to build on the positives including top-10 results in the Pro/Am and Am classes and a top-five overall finish in Saturday’s round three race. The Nos. 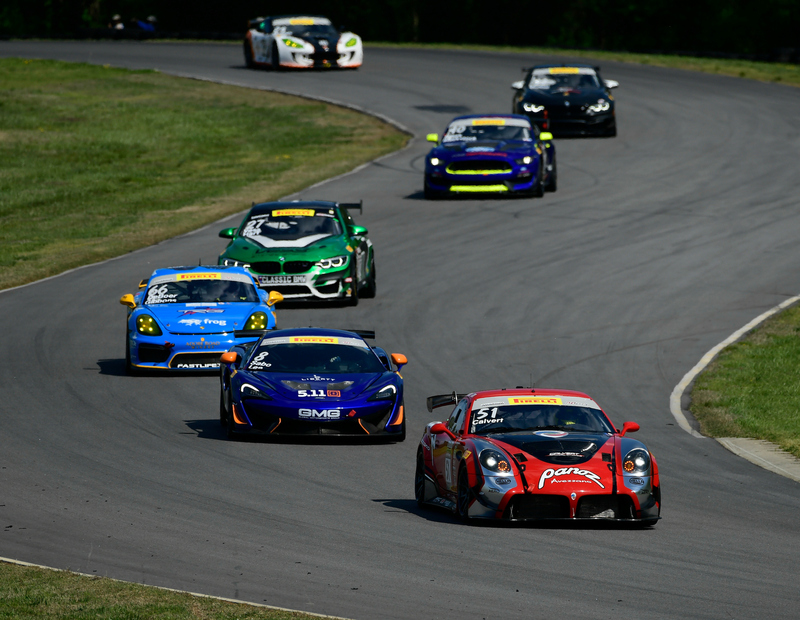 50 and 51 Avezzano GT race cars showed promise in Saturday’s GTS SprintX qualifying session on Virginia International Raceway’s 17-turn, 3.27-mile road course. Keegan qualified with a time of 1:54.922, placing him P10 on row five of the 37-car GTS SprintX round-three grid. 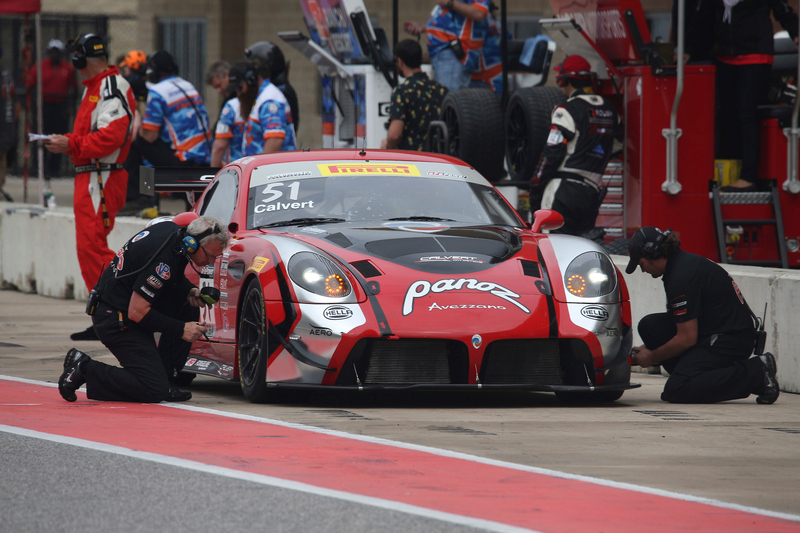 Team Panoz Racing GTSA driver Dr. Preston Calvert in the No. 51 sister car qualified P27 on row 14 with a time of 1:56.873. Almost immediately after the start an incident involving No. 69 SIN R1 brought out the race’s first full-course caution. After the lap-six restart Keegan and Calvert fought hard to keep pace with the field. Following their mandatory pit stops where pro driver Ian James took over for Keegan in the No. 50 and Calvert continued in the No. 51 Avezzano GT, the battle continued with James picking up a few hard-fought positions. But a late-race incident brought out a second full-course caution, forcing officials to call the race with 22 laps completed. Keegan/James finished P6 overall and P5 in the Pro/Am class, but a post-race penalty gave Keegan/James a P5 overall result and P4 in class. Calvert finished P18 overall and P8 in the Am category. For Sunday’s round four race James and the No. 50 Avezzano GT gridded P5 on row three and Calvert started P20 on row 10. Like Saturday, the race came under a full-course caution on lap one when the No. 17 BMW M4 GT4 made contact with James’ No. 50 Avezzano GT, dropping him to the back of the field. James worked hard to get into the top 10 both overall and in the Pro/Am class, then pitted on lap 13 and handed over the car to Keegan to bring it home. Calvert also fought hard and maintained P7 in class and got as high as P19 overall and P6 in class. A late full-course caution once again forced officials to call the race early, this time with 24 laps completed. James/Keegan and the No. 50 car managed to finish P14 overall and P10 in class. Unfortunately, Calvert and the No. 51 Avezzano GT were disqualified after PWC officials assessed a post-race penalty due to contact. 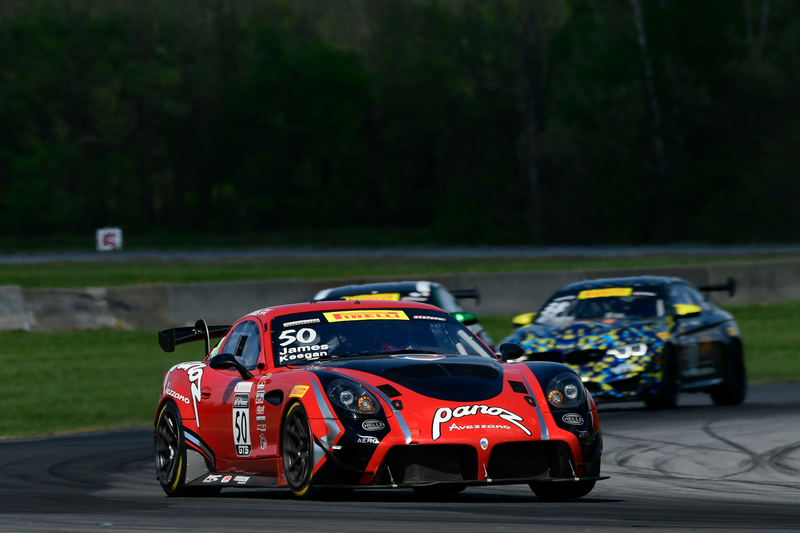 Team Panoz racing leaves Virginia focused on the positives. 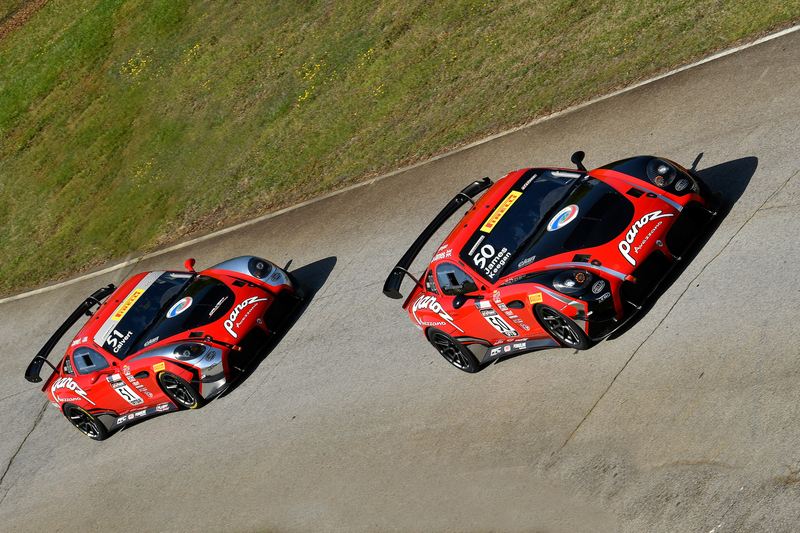 Next up are PWC GTS/GTSA rounds three and four at the Grand Prix of Canadian Tire Motorsport Park, May 18-20, 2018, Bowmanville, Ontario, Canada and a return to the doubleheader 50-minute sprint race format in GTS/GTSA. Please visit www.world-challenge.com for the most up to date PWC information, live streaming, and CBS Sports Network broadcast details. Follow us on Facebook, Instagram, Twitter, Snapchat for as-it-happens updates. The Panoz Avezzano GT race car is based on the new Panoz Avezzano GT sports car, the latest street-legal Panoz creation featuring a new fastback configuration, an aluminum chassis and body, and a 6.2-liter, 450-plus horsepower Panoz/Élan aluminum block V8 mated to a heavy duty, close ratio six-speed manual gearbox.